Our company is specialized in creating 3D virtual cont ent for building, architecture and interior design. This means, we turn projects, buildings or architectural spaces that are current, past or real places or just ideas or future projects, into virtual reality. We are architects and we put on our customer’s service all our creative habilities, vision and understanding of space, availing ourselves of powerful 3D modeling tools and interactive visualization software, but giving priority to good design, quality of materials and light management. In this way we enhance the space represented, highlighting the strengths; so virtual reality becomes the tool to appreciate everything in the best way possible, and looking for a powerful and real experience for the users and satisfaction an benefits for our customers. We are convinced that Internet should make people’s life easier, and we want to contribute for that. By our own experience in architecture, we know about the visual and explaining potential of a virtual 3D model, and we want to put that potential on people’s service, even for who never thought that it would be useful.We want to be the connexion between virtual spaces and real places. We want to link people to places, and places to people, and as our name says “see you soon” there. We are a supporting tool for tourism, real estate and hospitality sector, but also a boost for artists and design professionals, for the Internet to become a true partner for people and the real world. We have been finalists from 27 projects in the competition “Your idea has” Alava Emprende 2015. 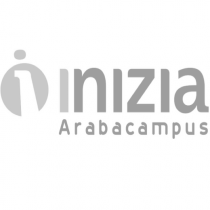 We have received an honorable mention award in the 5th edition of Inizia Arabacampus 2015. We have won the III Nerbioi Ibaizabal Emprendethea business ideas contest 2016.